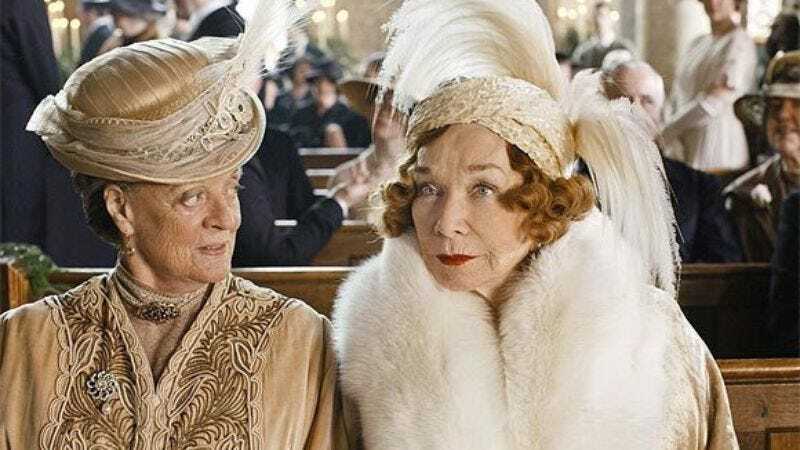 Proving that nothing succeeds like excess, even if that excess has been available through illegal Internet means for months, Downton Abbey returned to record-setting ratings in last night's third season premiere, drawing a series high of 7.9 million viewers. That’s nearly twice the 4.2 million people who watched last year's season two opener, suggesting that the endless discussion of it in breathless, ohmygod terms by everyone you know and your entire Twitter feed is finally beginning to have a cumulative effect. The UK import's strong return—in which returning fans were hooked again by ongoing plotlines such as [SPOILERS, WE GUESS, THOUGH THAT IS SUCH A TACKY, AMERICAN CONCERN] Matthew and Mary's wedding, Lady Sybil's elopement with the chauffeur, Maggie Smith frowning at things, and the overarching series mystery of what the hell Laura Linney is doing there—also quadrupled PBS' average primetime rating, which is no doubt dismaying news for whatever shows are on PBS primetime that aren't Downton Abbey.